On-Track Railway Operations Ltd. are your experts in railway material handling. As railroaders we understand the importance of safe, economical, expedient services and the necessity for a product that delivers. 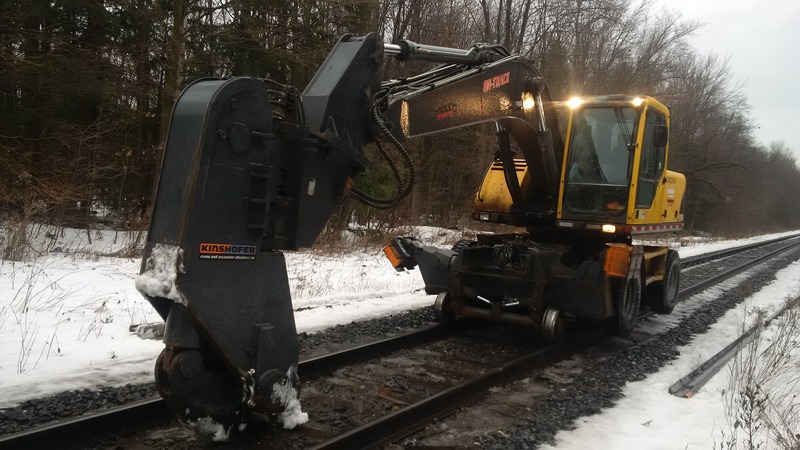 With over 35 years of dedicated service to Class 1 Railroads and railway contractors across Canada, we strive to be the number one service provider in the industry. 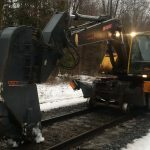 We combine our railroading experience with skills in design and innovation to manufacture and supply the best tools for any material handling application. Whether railway related or not, you can rely on On-Track to safely and effectively meet all of your material handling needs. Learn more about the services that On-Track offers here. Get in touch for information about equipment and attachments. Apply for a career with On-Track Railway Operations Ltd. here! Our equipment is only as good as those who care about it. Whether it’s new, fairly new, or old makes no difference if we don’t do our part to maintain our equipment. Taking the 5-15 minutes to perform general housekeeping or the daily maintenance checks can increase the life of our fleet significantly. Also, ensure that the daily maintenance checks are filled out so that we can track any issues, whether they are new or ongoing.